I’m pleased to announce the release of Pimp ur Blog Episode Two: Increase Search Results with Articles and Feeds by Paul Rice and Messie Jessie! Paul had recently asked me to review Episode One, but then emailed me to be his editor! While maintaining the overall “voice” of the piece, we worked together to make both Episode One and Two a little more concise for readers, and I think it’s turned out well. If you’re looking for ways to get better search results or just need an intro into SEO for bloggers, check out this series. Paul and Messie Jessie do a good job of showing (with pictures!) what they are doing with the programs they use to increase exposure. You can get Episode One and Episode Two on Amazon. BriefingWire.com, 5/16/2012 – The authors continue to demonstrate powerful techniques in this second eBook in the Pimp ur Blog series. They show the methods that have helped their blogs and eBooks gain and maintain a position in Google’s search results. 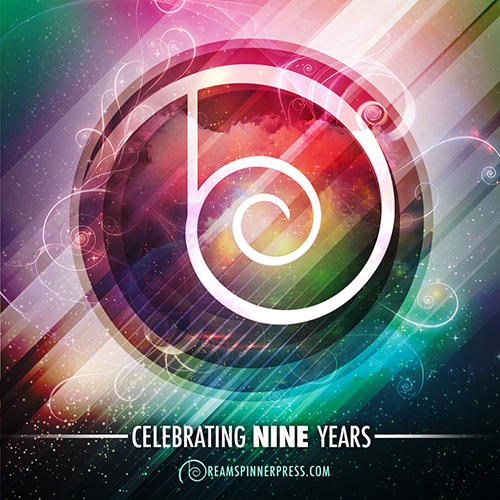 The Episode Two eBook is $.99 and is a one-hour read. The authors start Episode Two with a discussion of some aspects of engaging their audience. They then cover technical details of the software they use, such as the Secondary Submissions and Article Submissions features, which offer jumps in capabilities for readers to locate the authors’ work and connect with the readers’ interests. One of the highlights of Part 1 – Finding and Engaging Our Audience is the RSS Feeds topic, where the authors explore how the interactions of blog technologies and social media produce Google search results! Episode Two concludes with information on how the authors’ approach of dividing Episode One into a series of blog posts has benefited from these powerful techniques. 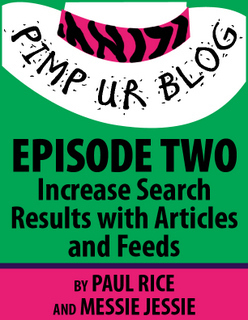 Pimp ur Blog Episode Two: Increase Search Results with Articles and Feeds, like the first $.99 eBook in the Pimp ur Blog series, Pimp ur Blog Episode One: Boost Search Results with Social Bookmarking, and Paul Rice’s other $.99 eBooks, Getting Well for the First Time, and When Do I Get to Live My Own Life?, will be available from Amazon, Barnes & Noble, iTunes, Smashwords, Goodreads, and multiple other e-reader and online eBook websites. Messie Jessie writes engaging and humorous articles on topics such as science, relationships, and navigating the pratfalls of life. Paul Rice is also a writer on stress, its effects, and its underlying causes. Mr. Rice can be reached for interviews via the Contact form at Pimp ur Blog, price@pimpurblog.com, and Twitter at @GettingWell4. Ms. Messie Jessie can be reached for interviews via CrazyKindaLife@gmail.com, Twitter at @MessieJessieG, the Contact form at Pimp ur Blog, and jess@pimpurblog.com. I’m considering pimping my blog, but I’m curious what percentage I should keep! Checking out the amazon pages.